Lovely staff. Variety of foods. 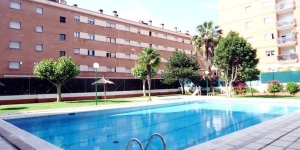 Good location - walking distance to the beach and I believe it is also close to other good spots like waterworld. Good evening entertainment. They really cater for the elderly too. Overall very lovely hotel. Will definitely come again. L'Aparthotel Costa Encantada se trouve dans un vaste domaine et bénéficie d'un cadre magnifique entre mer et montagnes. Situé dans le quartier résidentiel de Fenals, il dispose d'une grande piscine extérieure et d'une terrasse bien exposée. Les chambres et les appartements sont dotés d'un balcon, de la télévision par satellite et d'une salle de bains privative. Les appartements du Costa Encantada comprennent un coin salon doté d'une télévision à écran plat et d'un canapé-lit. Leur kitchenette est équipée d'un réfrigérateur. L'établissement dispose en outre d'une piscine intérieure chauffée, d'un sauna et d'une salle de sport. Le restaurant buffet sert des plats internationaux. Vous pourrez commander des rafraîchissements légers au snack-bar. Vous trouverez également une pizzeria et un bar-discothèque sur place. Vous rejoindrez Tossa de Mar et Gérone en 15 et 35 minutes en voiture. Que esta alejado del centro. La habitación que nos toco. En sí , eran 2 habitaciones , con 2 cuartos de baño. Genial para ir con dos niños. Önskar gröt och fil att välja på till frukost. La tranquilidad, la calidad de la comida, los apartamentos y el personal del hotel. Y el ocio para los niños, esta todo muy bien ubicado. Quiza la espera para entrar a comer y los turnos para el comedor. El apartamento muy amplio. 2 habitaciones con 2 camas cada una, 1 salón grande con sofás-cama para 3 personas más. Cocina independiente con nevera, vitro, tostador, microondas. Un baño completo y un aseo. 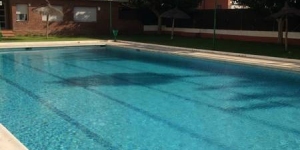 Al ser primavera tenían operativas las piscinas exteriores y la piscina cubierta, así cada uno podía elegir según sus preferencias. Personal amable. Tiene la playa de Fenals a 5 min a pie. - La comida y la cena muy limitadas. Muy poca variedad. - Los turnos de comidas. Al haber mucha gente había dos turnos. Comida 13-14h y 14-15h y cena 20-21h y 21-22h. Si te asignaban el primer turno al principio de la estancia, como nos pasó a nosotros, comías y cenabas muy pronto. the rooms were bright and spacious the hotel was kept very clean and the food was excellent, we stayed full board and there were changes to the buffet at every meal. the children loved the swimming pools and spent most of their time in the indoor pool. The staff were all friendly and helpful and we all said we would go there again as we were quite impressed. 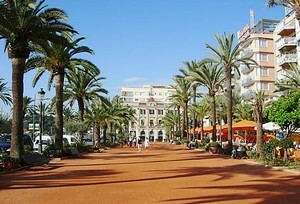 It was a bit of a walk to the town centre and beach for the children but we liked the quieter location. It was a bit early season and there was not much organised for kids by the hotel but they did enjoy themselves and said it was their best holiday. It was good looking hotel and has a pleasant feel about this. The place has a stiff atmosphere, there were no drinks included in fully inclusive and the staff at bars and restaurant were less friendly. They had little knowledge of local attractions and could have guided us to board the bus to Barcelona airport right infront of hotel rather than travelling to bus stop in a taxi. The staffs were very friendly and helpful. Hotel was beautiful, food in the hotel was delicious and the kids loved the facilities, games room and pool. The hotel was a good walk away from the seaside and the city centre. Beautiful apartment with a balcony. The functional and fully equipped kitchen. Clear. Very good price. Thin sheets (a bit cold). Small parking. I would stay here again simply because the hotel is full board for the food. The price is included in the room and was a great value. It is basically an all you can eat buffet (2.50 for a large family water bottle). My teenagers loved the food. It was a great selection and variety of food each time, with a special order grill for omelets, etc. 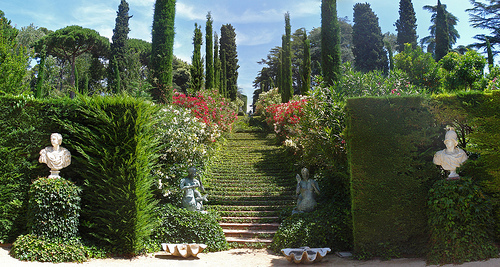 It is only a short drive to Barcelona and to Montserrat. We walked to the beach and took a glass bottomed boat ride which takes you to another town. The room was a large two bedroom apartment which was great for our family of five. They also have shows in the evening. I would stay here again. The price for the rooms and all meals is unbeatable! The only complaint is that the beds were very uncomfortable however we fixed that by sleeping three of us on the trundle couch (3 separate mattresses). The couch mattresses were much more comfortable than the beds. It is also loud because there is no carpet so the sleep machine app on my ipad was used. You can hear everyone walking. However, the price made it worthwhile for my family. очень удобно, что есть возможность готовить для себя. we could not get dinner at the restaurant in the hotel as it was only for guests with all inclusive. i wanted to pay separately for it. surprise also was what you have to clean your trash bin by yourself. it does not make any sense for 4* hotel. packs for bins were not provided as well. As I have 1 young child (age 6) and a 10 year old, the kids club was not supervised properly, there was no sign in sheet, no names taken and when I went back my youngest child was outside thank god my oldest was watching him. Our room was very ok, but the kitchen was tiny for 4 people, and when I went down to reception to ask if I could possibly be moved , the rude Spanish receptionist told me we had the best apartment in the hotel, I'd hate to see their worst apartment apart from this , it was ok.
Lots sea food and good selection of fruits were available during the dinner. Big swimming pool and large area with sun beds. Hotel is located in a quiet area of Lorret del Mar. Most of staff at the reception were grumpy and they did not smile. The rooms were cleaned every date, however, cleaners never took a trash from the kitchen. Очень понравилось питание.За 11 дней ни разу не повторялся ужин, были и морепродукты и говдина и кура - мы объедались! Отличные дессерты и мороженое. Location, general cleanliness and towel/ linen changes regularly. Food was OK. Apartment was equipped reasonable. Staff was friendly. Cleaning service was not excellent but more or less acceptable. WiFi was very slow and expensive enough. Location was good. Not too center not too far. Food had different variety. Lovely hotel the apartments are good size the facilities which include a laundrette are very good. We will return again for 3rd holiday. Good value for money. Mattresses in bedroom are uncomfortable. One or two of the bar staff can be grumpy. Good location and facilities. Good size room and very spacious balcony. The apartment was spacious and very clean. The facilities were very good, it is a long time since we stayed in an apartment so were a bit dubious but we thought Costa Encantada was everything we wanted. It was up a fairly steep hill which we were unaware of before our arrival. Also would have liked a kettle, having been told at reception that it had been replaced by a microwave. How do you make a cup of tea with a microwave? It is a great place for families, with a lot of activities for kids. Buffet meals were very good, with large variety and also variation between days, and a lot of fish. 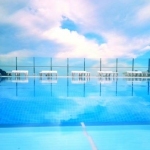 There is a large pool but it is also possible to walk down to the beach in 10 minutes. Close to a big super market. Many buses stop just a block from the hotel. 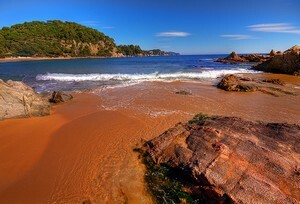 Very quiet place, away from the bustle of central Lloret, but close enough to easily go there if you want. Nothing to really complain about. Slow and not free Wifi. A bit far from the bus station (15 minutes walk) to get a bus to the airport and Barcelona. 1. If you have young children in your group, they will likely to have a lot of fun 2. Overall the food is not as bad as others have mentioned. It's repetitive, but you can always find something. However, if you are vegetarian, you are SOL. 3. The beach is only 15 min walk away. 1. The toiletries were never re-filled, we had to purchase them from a grocery store nearby 2. The beds are pretty stiff and uncomfortable, the sheets were never changed, even with an extended 2 week stay. 3. Essentials, like iron had to be rented by hour from the reception desk. 4. No information on nearby attractions from the hotel staff. 5. Paid internet was not working 80% of the time and the other 20 it was going at an atrocious speed. 6. Pool closes at 19:00, which is way too early 7. Entertainment for adults is mediocre. 8. No beach towels are provided at the hotel. All possible facilities for kids and big families with kids. Good animation day and evening show. Poor cleaning, kitchen and terrace never been touched. Ashtray nevr been cleaned during 14 days of stay. NO garbage removing during all stay. A good solution for bigger families since they can take a unit made of two rooms instead of two rooms. Nice facilities outside, children love it. Price is fair. The decoration of the rooms is very old fashioned. The pool, food and apartment was great! The kids loved it! the beds and too loud music for the kids at the disco for kids at night. staff at reception were aloof and unfriendly....cleaning ladies were much friendlier,helpful and accomodating. Large suites, shop inside, good price. Mean staff on reception, bad cleaning, long line in restrone and in the pool area, poor food in beach bar. Evening entertainment was only for small children. The lack of Equipment in the apartments kitchenet made it hard to make dinner and breakfast. It´s not a Place to relax because of noisy activities at evenings. The beds was not comfortable and the sheet even worse. One of those big apart-hotels with all amenities, everything taken care of, very clean, ultra-excellent breakfast. Full of families, children, teenagers from everywhere: noise. But not disturbing during sleeping hours. Large spacious pool area. Good size children's pool and playground. Clean. Good location. Good food, reasonable selection, always enough choice. Good value for money. Good size balcony. Staff, although not rude, never smiled. This was right across the board from restaurant to pool bar. Bathroom very small. Glass panel encloses 1/2 the bath, which made it difficult to reach in to bath 2 small children. Breakfast and dinner sometimes overcrowded. everything. This apartment is not in lloret de mar which we also liked. 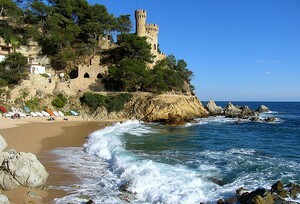 bout 15min walk to lloret in much quieter area in Fenals would not like to stay in lloret maybe when i was 20. Nice hotel, easy to park the car free.Very good food. Nice and good staff.All included like sunbed. Very easy to relax and enjoy the life. The staff's dour nature on checkin as we were a group of men. The lack of housekeeping after 1200. The fact you have to take your own rubbish our daily. Family orientated nature of the hotel. No TV in bedroom WiFi is available against payment (I can accept that) but only for one device. To connect my phone, my wife's phone & my Ipad I had to pay for 3 x WiFi. I only paid for one.....but in today's world this is inconvenient. So for the above 2 reasons, I will not stay in this hotel again. The evening staff were not that helpful. Morning staff much better. Our apartments were perfect, and fully kitted out, thefood was first class, the facilities second to none, and all staff, from room service, restaurant, to general receptionwere both very helpful, and efficient. Well Done ! We will return ! We had a very good all inclusive rate. The hotel was better than we expected. The food was plenty and being a fussy eater I managed to find something every meal time. Rooms basic put clean. Shower was always hot. Good value for money. mattress was very uncomfort and there was no micro wave in the kitchen. Should be more security there. which i didn't find any in this hotel . The apartment spacious, nice view, friendly staff, free parking, good location as a base to travel to other towns in Costa Brava. Superb children club! Food repetitive, lots of dust in the apartment, our beds were spliting up as there were two single ones joined together. great experience .....loved the food ,highly recommended. evening shows were great entertainment and nice surprise.great value for money. Good spacious place. Lot of facilities for kids to enjoy with parents. In evenings they have entertainment at disco. Food is also good (less variety though) I stayed for 3 days since I love seafood got it for 1 day only(but it was awesome).Overall good place to stay with family beach and center are closeby. Good hi speed wifi( wifi is lousy in many hotels). 1 of the beds in my room was old and I was the one using it few springs did hurt the back, but managed. activitie was very poor for people around 25-35, we had to pay for everuthing in te hotel even ironing, internet, safe locker, also the food in the restaurant wasn't good, staff in the restaurant wasn't nice! Food was not hot in restaurant, needed to be put in microwave. Settee in apartment uncomfortable. Was room for more chairs. Nice hotel,friendly staff,good facility's, Can't fault anything really. Untouchable for value for money. 4 of us stayed for a night full board for 72 Euros. Excellent hot and cold buffet dinner followed by evening entertainment, a delicious breakfast and when we couldn't stay for lunch they offered packed lunches - incredible! The rooms were a little basic but at that price that is a monor quibble. We will go back. inexpensive off season get away,large family room.indoor pool,full board food was better than expected,but not exciting.An excellent value,if sale priced. Bed mattresses not the most comfortable,pool should have longer hours.No real complaints.